my pointless: best friends are bad for you. Once again, we can be thankful for people who are looking out for our children's psychological well-being and overall warm-fuzziness. 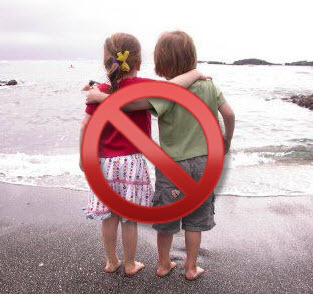 In England, some primary schools are adopting a "no best friends" policy. That is, they discourage the children from having best friends. One might suspect that the reasoning behind this policy would be to avoid cliques on the playground. Not so. The reason that children should not have a best friend is because having a best friend presents the possibility of having a "falling out" with the best friend which will hurt feelings and, in turn, damage the child's psyche. For more examples of governmental over-protection, click the label below.